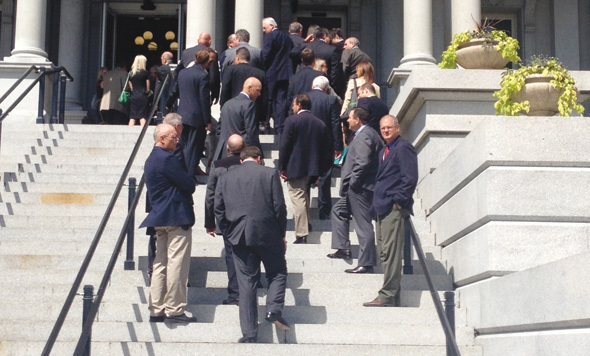 POET General Managers and other Growth Energy members took to Capitol Hill to advocate for ethanol. This September, many Growth Energy members flew into Washington for the third annual Advocacy Conference. Over the course of three days, the group met with Agriculture Secretary Tom Vilsack, Navy Secretary Ray Manus, the EPA’s Gina McCarthy, 170 Congressional offices and other top policy officials. It was a productive and rewarding conference that occurred during a most timely legislative and regulatory period. With the Renewable Fuel Standard (RFS) under intense scrutiny by Governors and members of Congress, it was vital for the industry to voice its support for this critical piece of legislation. Growth Energy’s members showed tremendous diligence and determination during the Conference. Even in the most difficult of times, Growth Energy’s members showed the strength and importance of the ethanol industry, not just in the Corn Belt, but nationwide.